It was very easy and tasty recipe for breakfast or evening snack…let us see how to prepare…. 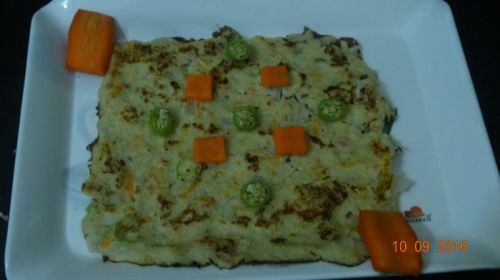 Oats, sooji rava, curd, cumin seeds, salt, onions, chilles, carrots, oil. At first mix one cup of oats, one cup of sooji rava, one spoon of cumin seeds, sufficient quantity of salt in two cups of curd. Mix all these items and keep aside for one hour… Now add finely chopped onion, chille, grated carrot. Add chopped coriander if you are intrested.. add some water if you want. Now heat the non stick pan, pour and spread the batter as medium layer… Let it cook and turn two sides till we get brown colour…. Off the flame now its ready to eat. It is very tasty to eat with or without chutney .. Previous articleDo you know what’s the use of special status..
Ragu In Big Boss Show ?